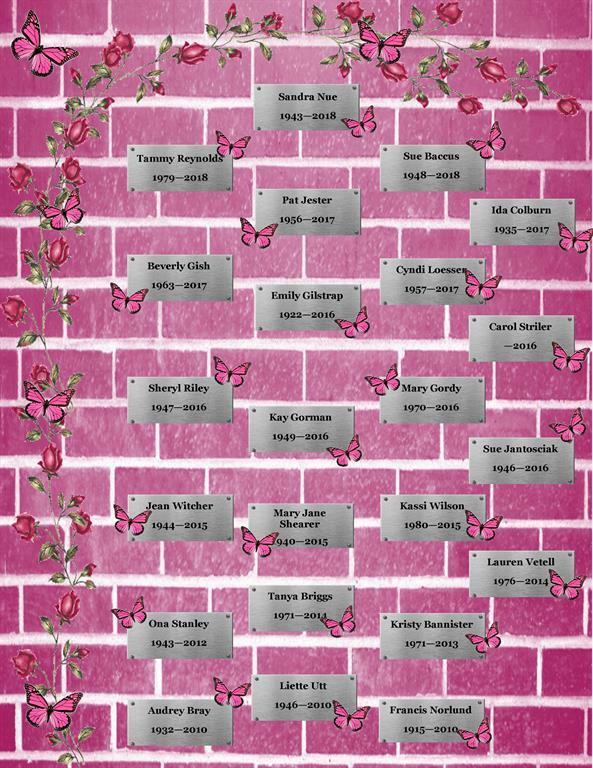 The BCSN Remembrance Wall allows us to honor those who lost their battle with breast cancer. The memory of their courageous spirits will remain alive in our hearts and minds forever. To submit a name for the BCSN Remembrance Wall, please contact us at info@bcsn.me or call (770)487-4396.